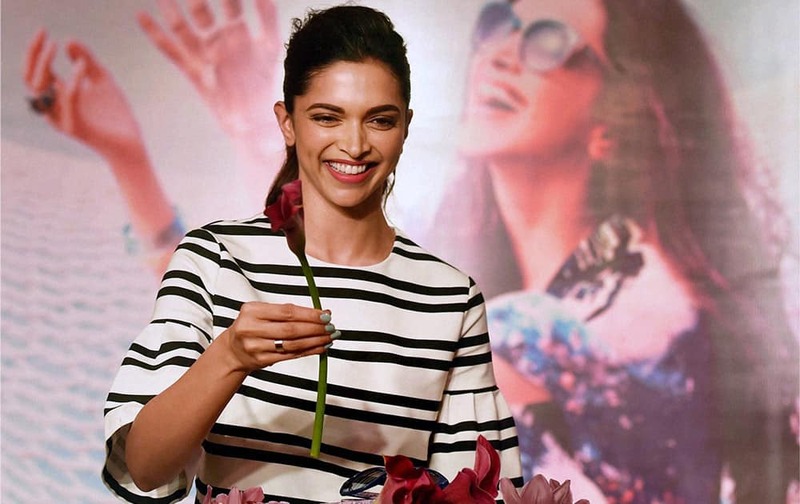 Deepika Padukone poses for media during the launch of Vogue eyewear in Mumbai. Bollywood Actress Sonam Kapoor,walks the ramp during the grand finale of India International Jewellery Week 2015. Bollywood Actress Poonam Dhillon perform a Social comedy play The Perfect Wife in Jaipur. Bella Thorne attends the Wildfox Fragrance Launch Event held at the Wildfox Sunset Plaza Store, in West Hollywood, Calif.
Mel Raido, Gemma Arterton and Jason Flemyng pose for photographers upon arrival at the opening of Somerset House Summer Screen and premiere of Gemma Bovery in London. Wilmer Valderrama and Meagan Good participate in the 'Minority Report' panel at the Fox Summer TCA Tour at the Beverly Hilton Hotel, in Beverly Hills, Calif.
Sarah Jessica Parker and Matthew Broderick attend the Broadway opening night of 'Hamilton' at the Richard Rodgers Theater, in New York.